If you are in the printing business, regardless of what type of printing service you offer your clients, it is of the utmost importance that you offer high quality printing services. If people use your business to do printing and they are not satisfied, they will look for an alternative, which leaves the market open for competition. 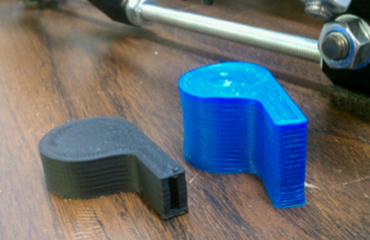 However, new printers are expensive; the solution might be to hire a printer. Hiring a printer gives you as a business owner several options that might boost your cash flow. If you are a company that has limited printing options due to the current type of printing device you have, you have the option to rent a printer that might print a higher volume or print larger formats like in the case of graphs. You might get an opportunity to print teacher curriculum materials or even yearbooks, but might not have a sufficient device to do the work. With this situation, a printer for hire gives you a chance to rent a printer, do the work, but at the same time, gives you the chance to explore the opportunity of expanding. Without making a big financial purchase, you will be able to see whether the printer you are hiring will work for your business and it will give you the opportunity to learn the device. You can even consider hiring a printer during your business’s peak seasons, if your current machine is unable to carry the load and you are certain that you will have enough work to justify a second or third printer. Not only will this boost your cash flow, but it will also allow you to service your client without turning them away. A printer for hire also means that you can use the latest devices with upgraded software and do not have to be reminded of buying new software time and again. 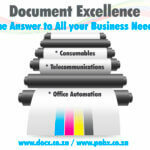 If you are looking for a printer for hire, Document Excellence is your one-stop solution. Being a Xerox authorised partner allows us to help you find exactly what you need and our team is ready to assist. Conveniently located in Sandton, we will be able send a sales or service consultant to you within minutes. 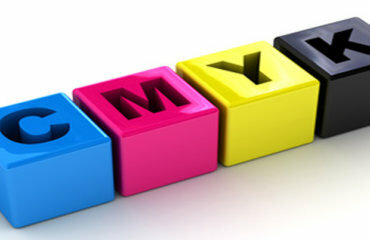 We will assess your business and recommend which of our printers will be the best option for you. Contact us today to find out how we can help you with all your office printing and consumables needs.